PLEASE NOTE: Music Venue pages for England, Northern Ireland, Scotland and Wales currently redirect to the UK Music Venue page. As Music Industrapedia grows and when more entries are created for these countries by our community of contributors, their own Music Venue pages will be established. In the mean time please place all Music Venue information for these countries under the UK category. The United Kingdom with England, Northern Ireland, Scotland & Wales displayed as well its regions of England. 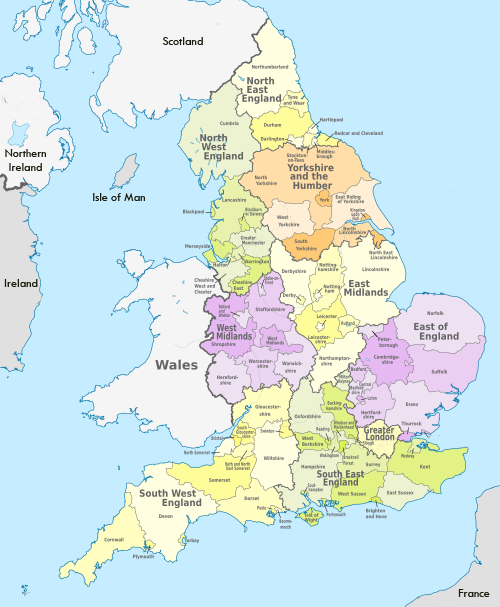 For more information as to what geographical boundaries make up our 'Rest of England' section on Music Industrapedia, please see the Regions_of_England page on Wikipedia.